Laser Peening is a relatively new industrial process that is fast becoming adopted by industry. The reasons for this are mostly down to the process offering much higher fatigue lifetimes than that of traditional mechanical shot peening (up to 10 times increased lifetime) which ensures components can last much longer especially when working in harsh and demanding environments. The process uses a high-energy laser pulse, which generates a rapid rise in pressure at the surface of the material to create a shockwave in the component. The pressure pulse created by the laser typically has a length of 2 – 2.5 times that of the laser pulse. This pressure pulse creates and sustains the shockwave. The shock wave propagates through the material being peened and the material responds with increase in dislocation motion and multiplication, yielding plasticity into the surface and through the bulk. 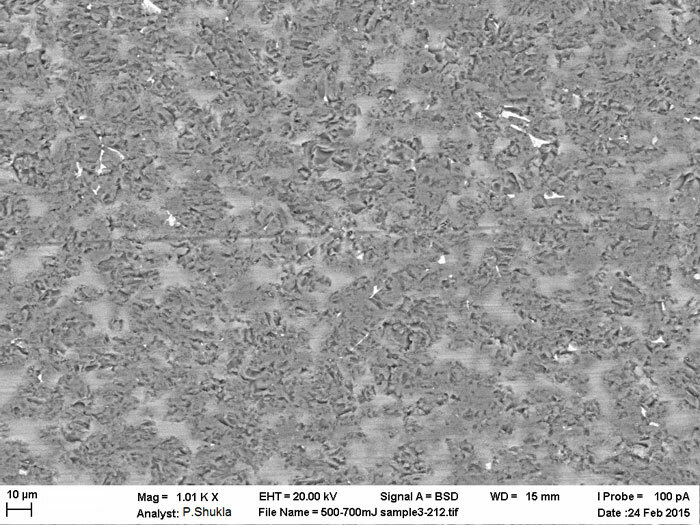 This response by the material brings about compressive residual stresses that remain in the part for a long time. These compressive residual stresses that are now present in the material serve to not only increase the tensile strength and improve material structure but are widely known to enhance the hardness, increase wear resistance and inherently increase the functional life of a component. Historically Laser Peening has been mostly used in Aerospace and Power Generation industries to surface treat turbine blades and engine components, but research institutions are investigating a wider range of applications. Dr. Pratik Shukla from the Laser Engineering and Manufacturing research Group at the University of Chester is currently producing some very interesting work studying the effect of Laser Shock Peening of Advanced Ceramics using the EPSRC funded laser loan-pool grant. Ceramic parts are notoriously hard, brittle and difficult to process, they are also very susceptible to cracking. Laser Peening can, when applied correctly, act as a remedial process, which can change the microstructure of the ceramic, increasing the hardness and the plane strain fracture toughness, and thus increasing the material strength and longevity. Practical uses for this application are being investigated for cutting tools, dental implants and bulletproof vests. To carry out these tests The University of Chester is using an Ultra High Energy Pulsed Q-switched Nd:YAG laser from Litron Lasers Ltd, Rugby UK. 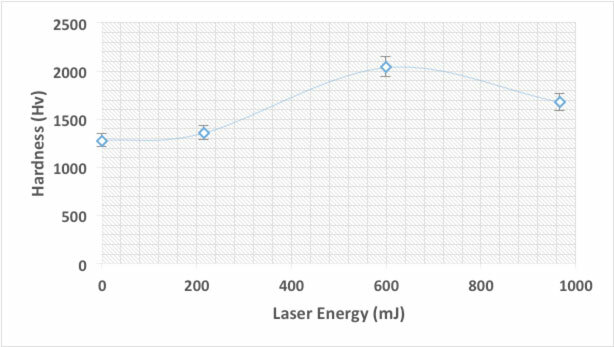 The LPY10J is ideal for Laser Peening as it produces a highly stable 10 J of pulse energy at 1064 nm at a frequency of 5 Hz. In addition, the 2nd, 3rd and 4th Harmonics can be switched in and out as required, so the effects of differing wavelengths can be observed on each material being tested. The industrial platform that Litron Lasers use gives full flexibility and various different options to the user combined with a reliable robust design. 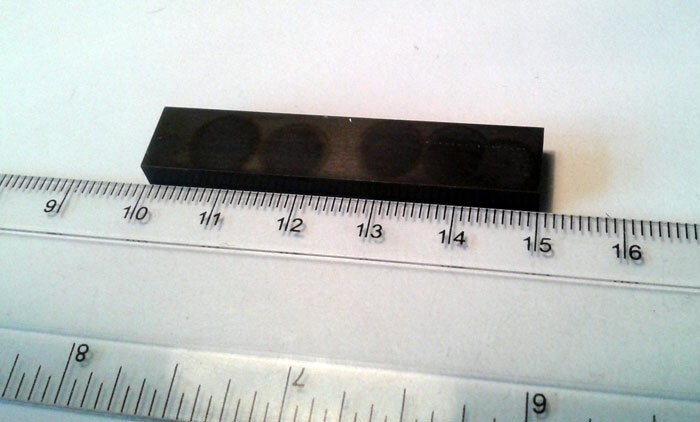 “The future trend in laser peening is to apply higher energies, faster repetition rates and bigger spot sizes with a view to induce large field of compressive residual stresses in a broader surface area and at acceptable depths. Of course this will be unique for each engineering material and the particular application but the possibility of applying a wide range of settings is available with the new Litron Laser system that we currently house funded by the EPSRC. In particular, our work on laser shock peening of ceramics required the use of 2nd, 3rd and 4th harmonics, so it was nice to have an exceptionally high power, nano-second laser system that could still deliver around 2.5 J when operating in 355 nm, and at the same time exhibit a minimal thermal shock into the hard brittle ceramics such as Silicon Carbide and Alumina”. 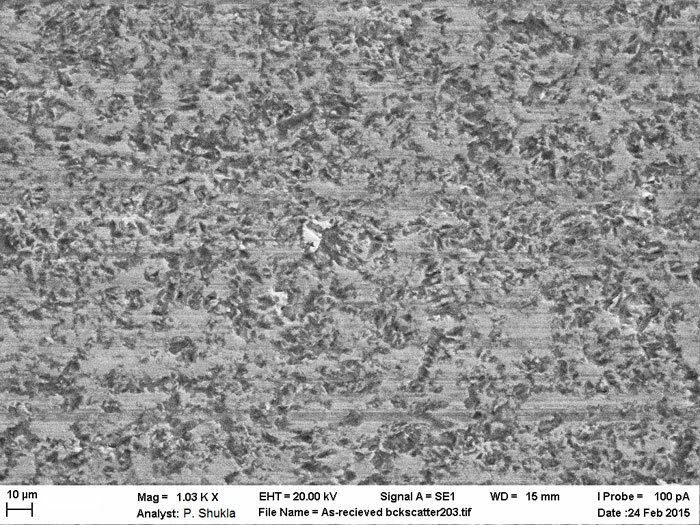 Figure 2 SEM images of the as-received tool grade SiC ceramic (a) and (b) the laser peened SiC tool grade ceramics showing the microstructural refinement. 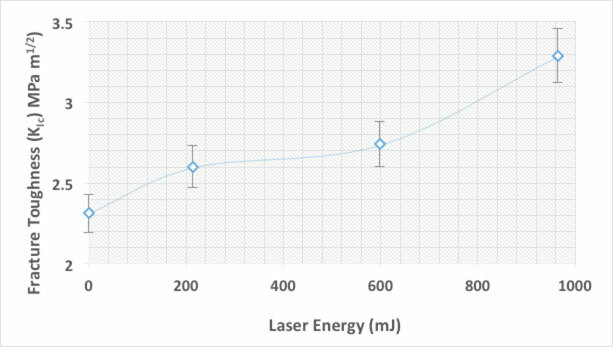 Figure 3 A graph showing increase in hardness with increasing laser energy in (a) and (b) the increase in fracture toughness of laser peened SiC tool grade ceramic.